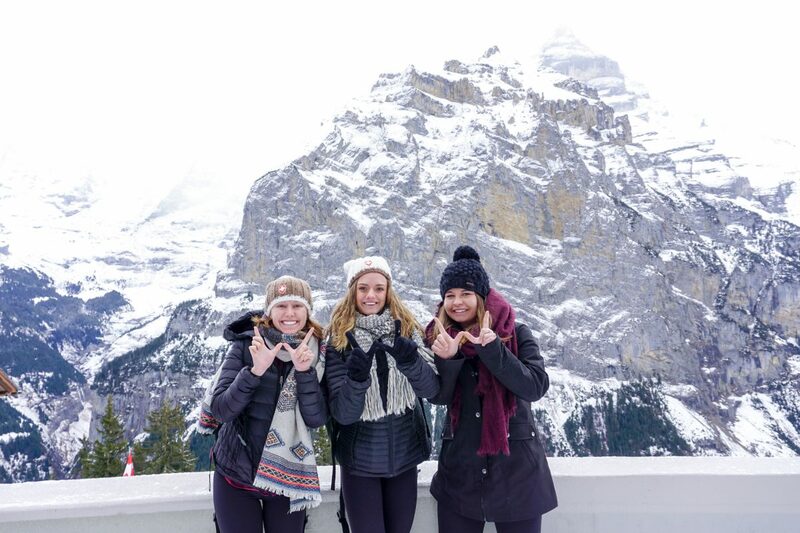 The University of Wisconsin–Madison has been ranked as #2 for semester-long study abroad participation among all U.S. institutions, and #16 among all U.S. universities and colleges for total students studying abroad, according to the Open Doors Report. The Open Doors Report, which is released each year at the start of International Education Week, is published by the Institute of International Education in partnership with the U.S. Department of State’s Bureau of Educational and Cultural Affairs. The number of UW–Madison students studying abroad increased to 2,276 for the 2016-2017 academic year. In 2015–2016, 2,244 students studied abroad. Semester- and year-long programs continue to be popular among UW-Madison study abroad participants, with 56 percent choosing programs of this duration. The university stands out for semester- and year-long programs among peer institutions in the Big 10 Academic Alliance. Open Doors listed UW–Madison as #1 for both semester and yearlong participation within U.S. public institutions and Big 10 Academic Alliance Institutions. Dan Gold, director of International Academic Programs (IAP), the university’s central study abroad office, attributed the strong rankings to a variety of factors, including more programs and advising tailored to meet the requirements of specific majors and increased availability of funding to support participation. IAP offers 226 programs in 69 countries. The top study abroad locations for UW–Madison students participating in IAP programs are Spain, Italy, England, Denmark, Australia, France, Thailand, Costa Rica, China, and Uganda. Open Doors also listed UW–Madison as #24 on its ranking of Top 40 Doctoral-Granting Universities Enrolling International Students in 2017–2018. The previous report ranked the university as #26. During the last academic year, 7,080 international students were enrolled at UW-Madison. The number of international students at UW-Madison continues to increase well above the national average, with UW–Madison experiencing more than triple the national growth rate at 4.6 percent. International students have a profound impact on Wisconsin’s economy. According to a report by NAFSA, the estimated expenditure for the 12,951 international students studying in Wisconsin during the 2017–2018 academic year was $406.7 million, supporting 5,009 jobs. International students contributed $39 billion to the U.S. economy and supported 455,622 jobs during this same time period. The Open Doors Report is released in conjunction with International Education Week, a joint initiative of the Departments of State and Education, which highlights the benefits of international engagement. UW–Madison is celebrating the week from November 12–18, with events on campus and in the community such as a street foods festival, career workshop, film screenings, keynote lecture by guidebook author and television personality Rick Steves, and more. View iew.international.wisc.edu to see the full schedule for the event as well as a list of sponsors and partners.